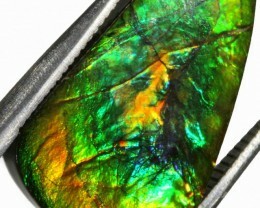 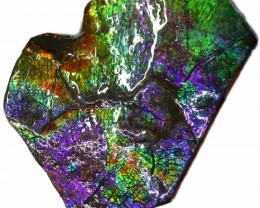 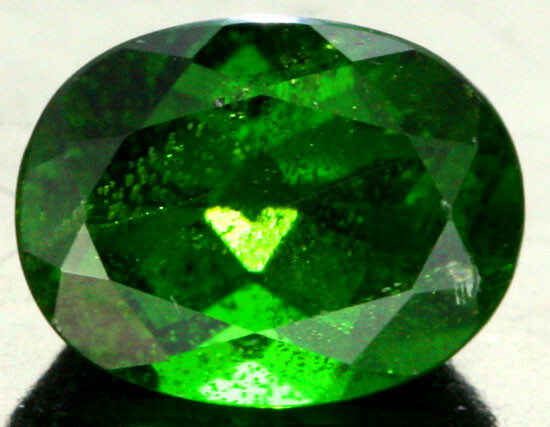 This is a natural untreated stone mined in Russia. 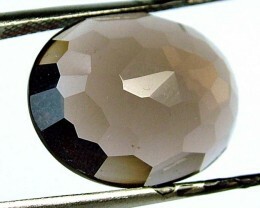 Size 8 x 6 x 3.5 mm app. 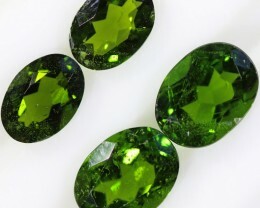 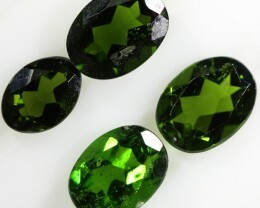 Gemstone quality diopside is found in two forms: the black star diopside and the chrome diopside (which includes chromium giving it a rich green colour). 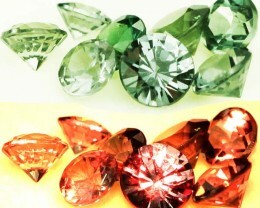 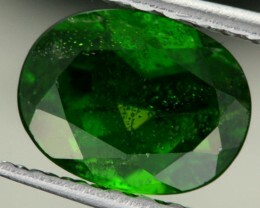 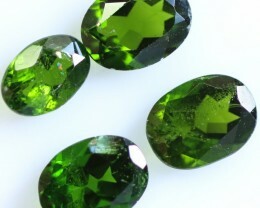 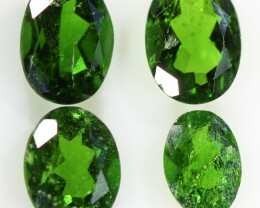 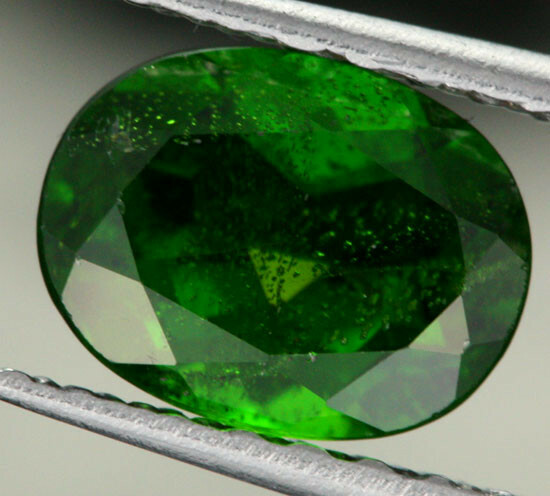 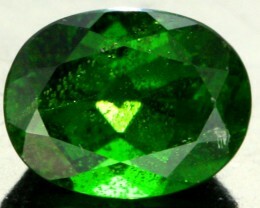 At 5.5–6.5 on the Mohs scale, chrome diopside is relatively soft to scratch. 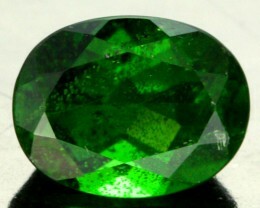 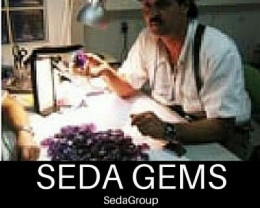 Mohs scale of hardness does not measure tensile strength or resistance to fracture.